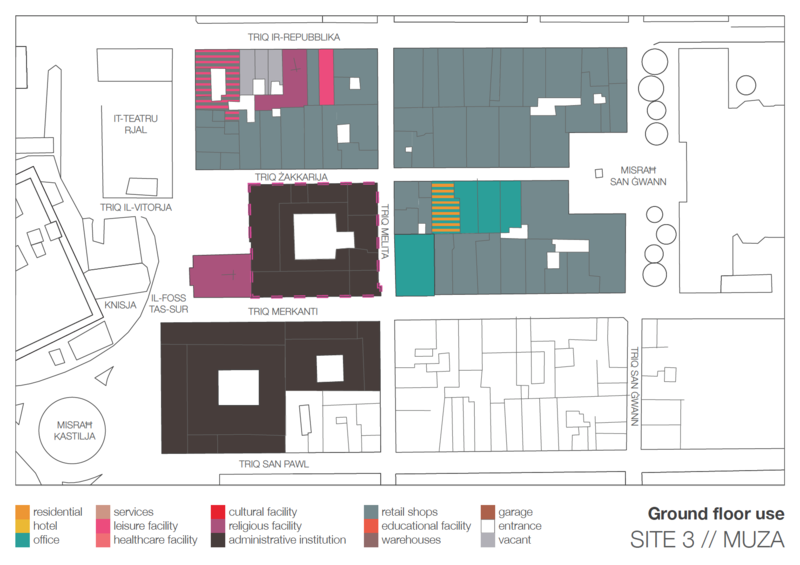 The research is concerned with the assessment of the spatial and social impact of cultural infrastructure, understood primarily as architectural and urban design interventions, in order to gauge the manner with which they may result in broader culture-led urban regeneration within specific Valletta neighbourhoods. 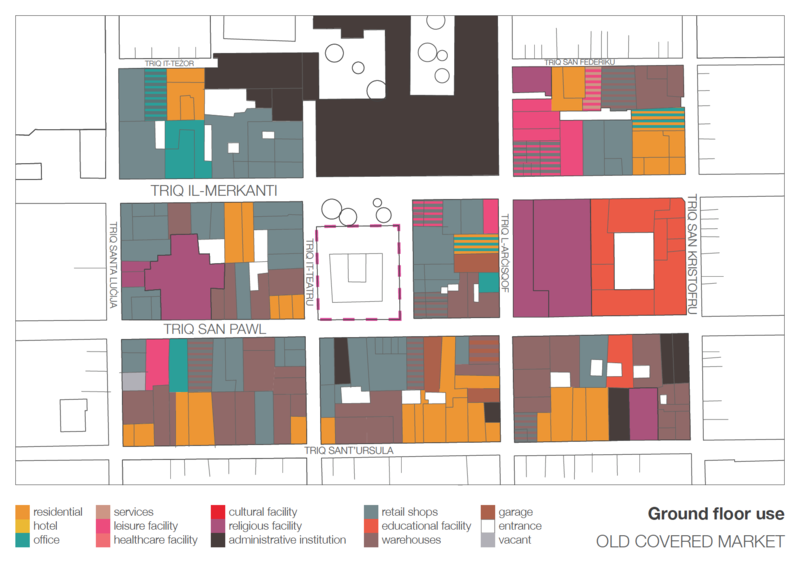 Four areas of intervention within the Capital have been chosen for in-depth study – the Biċċerija (the upcoming Valletta Design Cluster) and its surrounding neighbourhood; the entire extent of Strait Street; Pjazza de Vallette/MUŻA and its immediate environs; and the area surrounding the Covered Market (along both Merchants Street and St. Paul’s Street). The nature of the subject matter demands an assessment of the urban space and the various (physical and non­‐physical) phenomena that affect it. 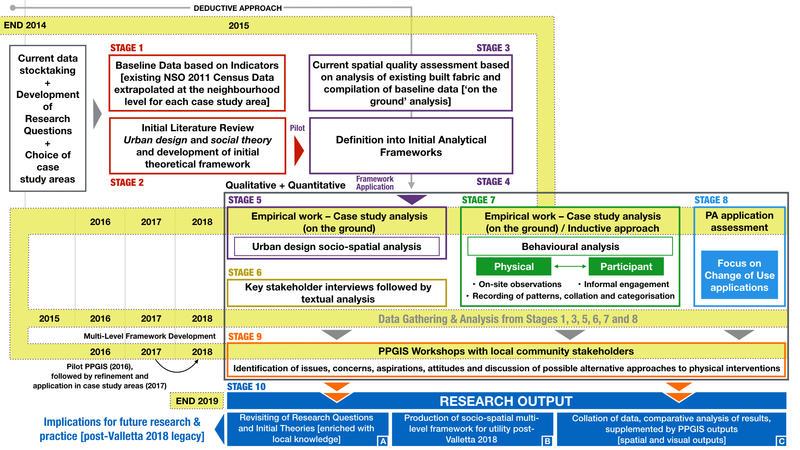 Following the initial identification of the primary socio­‐spatial phenomena/elements that influence the areas under study, through both inductive and deductive methodologies working in parallel, analytical frameworks are subsequently developed and applied within the analysis of the physical spaces. 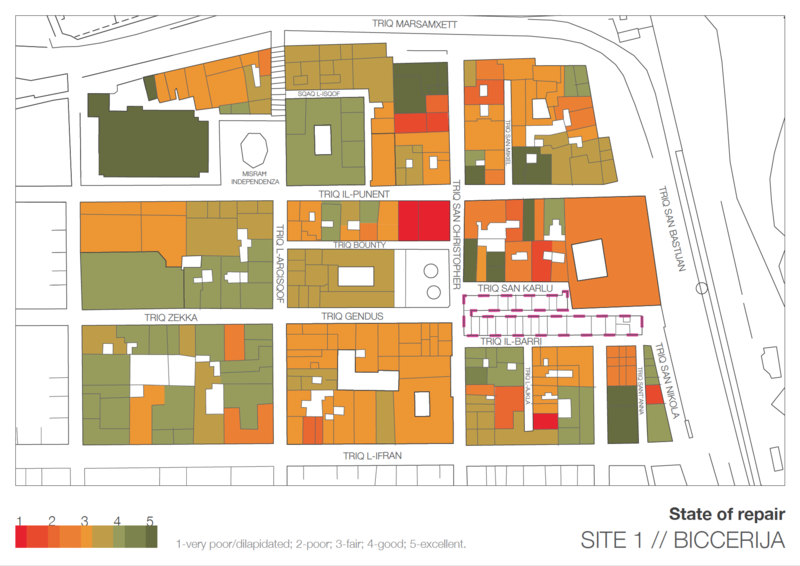 The latter are monitored closely throughout the five‐year period for changes (both each urban space per se and its interfaces/enclosure through the frontages that define it) and key patterns are derived therefrom, categorised and correlated to the NSO data that was obtained throughout 2015 at the specific neighbourhood level. In this manner socio‐spatial phenomena may be brought together. 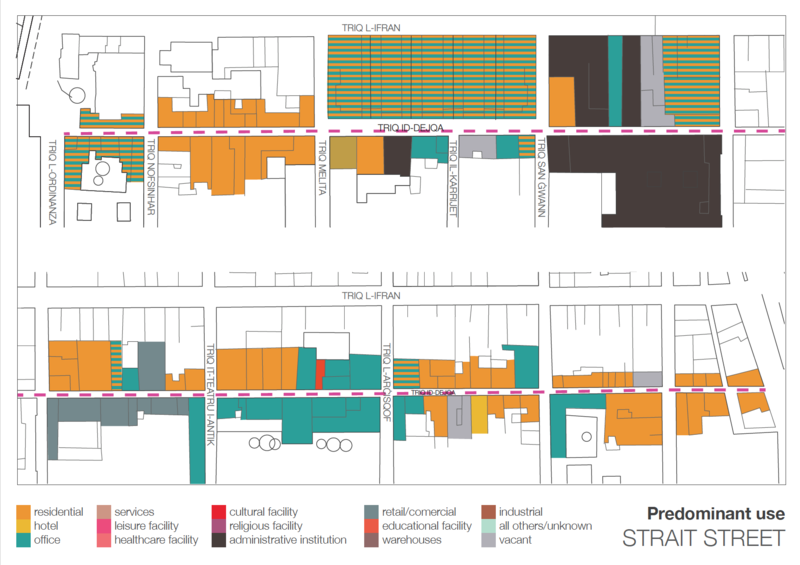 the manner with which culture­‐led regeneration may affect the use of the surrounding urban spaces of place, at a later phase of the research. 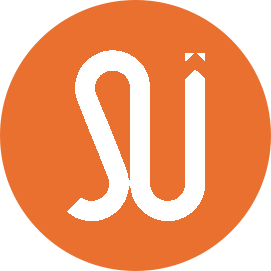 The research objectives formulated from the above questions centre primarily on the physical urban space/built environment, in terms of establishing important spatial parameters and qualities that, in turn, have direct and indirect social implications.